As a son of Holocaust survivors it would be obvious why remembering what happened to the Jewish people during the reign of the Nazis would be of importance and significance to me. What I am going to attempt to do in this post is briefly show why it should be important to everyone. There is a cancer in the world today. This cancer is the movement known as Holocaust denial. I am Jewish, and on this site and the book I have written there is a focus on the horrors that befell the Jewish people. I make no apologies for where I focus my efforts. However, I also recognize that although 6 million is a staggering number, the Jewish people are not alone in their suffering. Whether it was African slave trading, the Khmer Rouge’s Cambodian genocide, the policy of “ethnic cleansing” in Bosnia, the genocides in Cyprus, Rwanda, and Darfur, our world has been tarnished by numerous examples of mass persecution and genocide. I am making no attempt to compare suffering, and I am not missing out on mentioning any group intentionally. All I have done is take some notable examples of mass persecution and genocide in history to make an important point. Cancer usually begins in one part of the body. 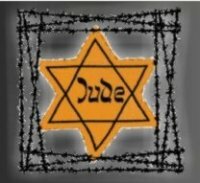 The cancer of Holocaust denial, a cause that is meant to belittle the suffering of the Jewish people during Nazi occupation in Europe and challenge its severity and magnitude, does not only threaten the Jewish people, one part of the world’s body, it threatens all decent people, and all healthy parts of the world body. How can we say “NEVER AGAIN”, if we have to fight those who want to challenge that it happened in the first place. Ignore a cancer and it spreads. And when it spreads it poisons the entire body. This entry was posted on Sunday, April 15th, 2012 at 4:14 pm	and tagged with African, Bosnia, Cambodian, Cancer, Cyprus, Darfur, ethnic cleansing, Europe, genocide, Holocaust, Jewish, Khmer Rouge, Nazis, Rwanda and posted in Uncategorized. You can follow any responses to this entry through the RSS 2.0 feed.